• “Relovv”, “we”, “us” or “our." • “Services” – the www.relovv.com website, its subdomains, any other sites or media that redirect to the www.relovv.com website or subdomain, our mobile applications, our social media, and the services that we make available to you through these media. • “Item” – something that is made available for sale using our Services, which may include, without limitation, clothing, shoes, furniture, electronics, textbooks, event tickets, cleaning services or other merchandise or services. • “Student” – a member who has an email address ending in “.edu” which they linked to their relovv account, or had one at the time of signing up for our Services, and who is not necessarily enrolled in an educational program at the current time. • “Member” – any individual who joins Relovv. • “Power Profile” – A third party store or business that sells Items through our Services. • “Profile” – a Member profile or Power Profile on relovv where Items are sold. • “Seller” - a Member or Power Profile who uploads an Item for sale. • “Buyer” – a Member or Power Profile who purchases an Item listed on Relovv. PLEASE READ THESE TERMS CAREFULLY, AS THEY CONTAIN AN AGREEMENT TO ARBITRATE, WHICH REQUIRES THAT YOU AND RELOVV (UNITIQUES INC) ARBITRATE CERTAIN CLAIMS BY BINDING, INDIVIDUAL ARBITRATION INSTEAD OF GOING TO COURT AND LIMITS CLASS ACTION CLAIMS, UNLESS YOU OPT OUT OF THE AGREEMENT TO ARBITRATE AS DESCRIBED IN THE ARBITRATION SECTION (SEE SECTION 14 “AGREEMENT TO ARBITRATE”). PLEASE REVIEW THESE TERMS BEFORE USING OUR SERVICES, AS THEY MAY HAVE CHANGED SINCE YOUR LAST VISIT. IF YOU ARE VIEWING THIS ON YOUR MOBILE DEVICE, YOU CAN ALSO VIEW THESE TERMS VIA A WEB BROWSER AT http://relovv.com/terms. IF YOU DO NOT AGREE TO THESE TERMS, THEN DO NOT USE OUR SERVICES. BY USING OUR SERVICES, YOU REPRESENT TO US THAT YOU ARE AT LEAST 18 YEARS OLD AND HEREBY INDICATE YOUR UNCONDITIONAL ACCEPTANCE OF THESE TERMS. We reserve the right to revise these Terms in our sole discretion at any time and without prior notice to you other than by posting the revised Terms via our Services. Revisions to these Terms are effective upon posting. These Terms will be identified as of the most recent date of revision. Your continued use of our Services after a revised version of these Terms has been posted on our Services constitutes your binding acceptance of the revised Terms. Item listings on Relovv may only include Content relevant to the sale of the Item. All Items must be listed in the appropriate category, with the appropriate details. Each listing must accurately and completely describe the Item(s) for sale in that listing. As a Member, you may provide valid bank account info (account number and routing number) to facilitate receiving funds from a buyer, or you may agree to another payment method with a buyer. If you receive payment using your Relovv Account, we have the right to charge you fees in accordance with the fees set forth on our Services from time to time, and such fees may vary depending on the nature of the Item, the region and other factors. As a Member, You agree to make a good faith attempt to fulfill each transaction that you enter into. Members and Power Profiles can upload Items to sell. You agree that you are legally able to sell all Items listed. Relovv strictly prohibits the sale of illegal Items, including but not limited to: replicas or fakes, furs of endangered species, anything requiring a prescription, or stolen goods. Relovv reserves the right to terminate your use of it’s Services at any time and for any reason in its sole discretion. Members and Power Profiles have sole responsibility over the quality, safety, morality, legality, and any other aspect of Items listed for sale. Members and Power Profiles have sole responsibility over the truth or accuracy of any Item they list, and their ability to sell Items listed. You agree that we are not responsible or liable for any Content (as defined below), including but not limited to data, text, information, any Member’s or Power Profile's name, store name, graphics, images, photographs, profiles, messages, prices, Items and links posted by any Member or Power Profile. Members and Power Profiles are responsible for determining whether to enter into an exchange, when and how to accept payment for an exchange and any other exchange logistics. We may also impose limits on the certain features of the Services or restrict your access to part or all of the Services without notice to you. You use our Service at your own risk. Pricing is determined by Relovv in its sole discretion. Sellers set “I want to earn” (this value directly equals to the amount the Seller will earn on the transaction) when they list. Relovv then calculates a Listing Price (I want to earn + delivery fees + processing fees = Listing Price). It is in Relovv's sole discretion to determine the Listing Price which directly equals to the amount the Buyer will pay to purchase the item. Relovv may adjust the Listing Price at any time without notification or explanation. Students may list Items for sale through Relovv's “Pick-Up” Service. When you list, click “YES” on “Meet on Campus” to list your Item as a “Pick-Up” - for sale only on your campus and campuses nearby. We do not transfer ownership of any Items from Sellers to Buyers. We cannot ensure that a Member will actually complete, or pay for a transaction. A Pick-Up exchange is defined any exchange that takes place offline. Pick-Ups are typically completed offline, where Buyers and Sellers meet face-to-face. You agree that Relovv cannot ensure the safety and financial protection of any individual that uses its Pick-Up Service. You agree that Relovv is NOT liable for any potential or real danger as a result of a Pick-Up exchange including but not limited to assault, theft, harassment, or death. You are responsible to deliver your Item to your Buyer within 120 hours of the order being placed. You may cancel the order at any time. If you choose to cancel the order, your Item will be completely removed from Relovv. After 120 hours the order will be cancelled and you will be notified NOT to deliver your Item. If you deliver a cancelled Item, you will NOT be paid for your Item and your Item will not be returned. Sellers list Items for sale through Relovv's “Shipping” Service. When you list, the "Ship For Free" field is automatically selected and can not be unselected. In a Relovv Shipping exchange, Items are typically purchased online with a payment method and mailed to Buyers via USPS mail. Relovv reserves the right to collect a “processing fee” and “delivery fee” on all Relovv Shipping sales. Sellers will be prompted to provide a “Shipping From” address and Item weight for each Item they list. Your Shipping From address will only be shared with the Buyer. Relovv does not control the accuracy of your Shipping From and Item weight. Relovv does not control the accuracy of the Buyer’s shipping address. You agree that it is your responsibility to provide an accurate Shipping From address and Item weight. Failure to provide an accurate Shipping From address and Item weight AFTER the Item is purchased may result in additional shipping fees. YOU ARE RESPONSIBLE TO PAY ANY ADDITIONAL SHIPPING FEES. Relovv will provide Sellers with a free pre-paid, pre-addressed USPS shipping label. Sellers MUST use Relovv's free pre-paid, pre-addressed USPS shipping label to ship the Item. You agree that if you fail to use Relovv’s free pre-paid, pre-addressed USPS shipping label you will NOT be paid for your Item and your Item will not be returned. You are responsible to ship your Item from USPS within 120 hours of the order being placed. You may cancel the order at any time. If you choose to cancel the order, your Item will be completely removed from Relovv. After 120 hours the order will be cancelled and you will be notified NOT to ship your Item. If you ship a cancelled Item, you will NOT be paid for your Item and your Item will not be returned. 1) Your Item is not as listed (not truthful or accurate). 2) You ship the incorrect Item. 3) Your Item is damaged. 4) Your Item is counterfeit or a fake (unless explicitly declared as such and is legal to sell). 5) The Item is an Illegal Item or Requires a Prescription. The list above is not a complete list. It is in Relovv’s sole discretion to decide if you will not be paid for your item, or if your will item be returned. You will be paid within 24 hours of the item arriving to the Buyer UNLESS the Buyer “reports a problem.” The Buyer only has 24 hours after the item arrives to report a problem. After 24 hours, the item is final sale and you will be automatically paid. If the Buyer reports a problem within the first 24 hours, Relovv can can not guarantee that you will be paid or that your Item will be returned. You as a Buyer agree and understand that Relovv is acting solely as a marketplace to facilitate transactions and exchanges. While we facilitate each transaction, we do not take ownership of the Items. You may agree with the Seller to pay the Seller independently of Relovv but we highly recommend buying all items through Relovv. You agree to make a good faith attempt to fulfill each transaction that you enter into. You agree to provide accurate, complete and updated payment information. You agree that Relovv does not control the quality, safety, morality, legality, or any aspect of any Item listed for sale. We have no control over the the truth or accuracy of any Item, nor the ability of Sellers to sell Items. Buyers are responsible for determining whether to enter into an exchange and any other exchange logistics. You agree that we are not responsible or liable for any Content (as defined below), including but not limited to data, text, information, any Member’s name, store name, graphics, images, photographs, profiles, messages, prices, Items and links posted by any Member. We may also impose limits on the certain features of the Services or restrict your access to part or all of the Services without notice to you. You use our Service at your own risk. Buyers may purchase Items through Relovv’s “Pick-Up” Service. Pick-Up purchases typically are completed offline, where Buyers and Sellers meet face-to-face. Relovv cannot ensure the safety, or financial protection of any individual that uses its Pick-Up Service. We cannot ensure that a Seller will actually complete, or accept your transaction. You agree that Relovv is not responsible for the exchange, or a refund of any kind. You agree that Relovv is not liable for any potential or real danger as a result of a Local exchange including but not limited to assault, theft, harassment, or death. Buyers may purchase Items through Reovv's “Shipping” Service. Click “Buy Now” on any Item, to purchase it with a payment method and have the item shipped directly to your shipping address via USPS (tracking information provided). One hour after your purchase, all sales are final. You will receive the order within 7-16 business days. You will have only one hour after the purchase is placed to cancel and be refunded. After one hour of purchasing, your purchase is final and can not be cancelled. However, the Seller may cancel your purchase at any time. If the seller fails to ship your Item within 120 hours of your purchase, the order will be cancelled and you will be refunded. For extended orders, the Seller will have 16 business days from the point of purchase to ship your item. Depending on your provider, the refund can take up to 1 full billing cycle to show up on your credit card statement. Additionally, please note that because your purchase was cancelled shortly after placement, it may not show up in your statement at all (neither a charge nor a refund will show up on your statement). If you applied your balance or points to purchase an Item, the refund will be credited to “Your Balance” (under “Me”). Buyers will be prompted to provide a Shipping address and payment method. It is your responsibility to provide an accurate Shipping address and payment method. You agree that if you fail to provide an accurate Shipping address and payment method you will 1) not receive your Item and 2) not be refunded. Your Shipping address will only be shared with the Seller. 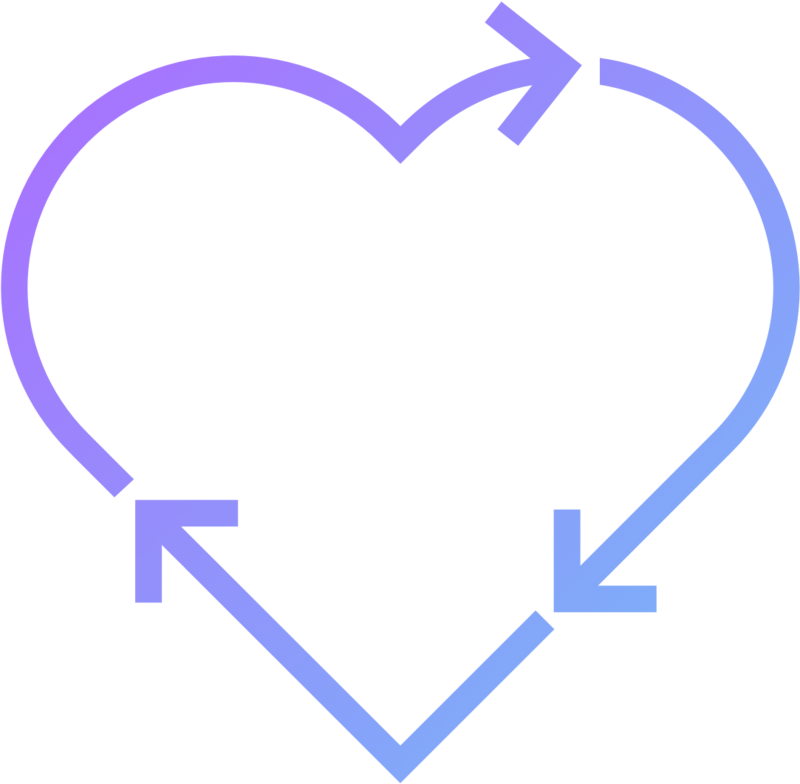 You consent to Relovv and its third party payment processor authorizing or reserving a charge on, and charging, your payment card or other payment method for any amount up to the full price of the Items you are purchasing as well as the cost of shipping. You agree to have sufficient funds or credit available at the completion of the intended exchange to ensure that the payment will be collectible. We have partnered with a third party, Authorize.net, to accept credit cards safely and securely for our customers. Authorize.net payment gateway manages the routing of sensitive information through their credit card processing network. The company adheres to strict industry standards for payment processing including: 128-bit Secure Sockets Layer (SSL) technology for secure Internet Protocol (IP) transactions, Industry leading encryption hardware and software methods and security protocols to protect customer information, and Compliance with the Payment Card Industry Data Security Standard (PCI DSS). You have one hour after placing an order to cancel it. After that it is final sale. We will give you a full refund if your item never ships or does not match the listing description. Otherwise, all sales are final. If you decline your order within one hour of placing it. If any seller declines items in your order. If any seller fails to accept your order. If any seller fails to ship or deliver your items. If any seller has an extension, but still fails to ship or deliver your items. When you make a purchase on relovv, you have one hour to cancel it. Should you cancel in that hour, you are immediately refunded. If you paid with a credit card or with Paypal, the transaction is voided. If you used your balance or points, they are put back into your balance or points balance. If you used a promo code or received any other discount*, you will be able to use that code or discount again. Sellers then have 48 hours to accept or decline your order. Should the seller decline your order, your are not immediately refunded. Should the seller accept your order, but then fail to ship or deliver it to you, you are not immediately refunded. In both these cases, you are refunded 5 business days after you placed the order. Certain sellers will be allowed extensions on shipping or delivering the item to you. You will be refunded should they fail to ship or deliver it to you. In these cases, your refund will be processed 16 days after you placed the order. * If you ordered multiple items, for example an outfit, with a promo code or any other discount, you will have to cancel the entire order to be able to use that code or discount again. Should the seller accept your order, the item will be shipped to you. After it is delivered, you have 24 hours to reporting a problem through the relovv app or website with supporting photos. After 24 hours, no problems can be reported and the sale is final. If we verify your claim, you will get a free, pre-paid shipping label to return your item to the seller and we will refund your payment. All returns must be shipped back within 5 days of approval to be eligible for a refund. What is covered, what can I report a problem for? If no problem is reported within 24 hours of delivery, payment will be automatically released to the seller. Once payment has been released, all sales are final and no refunds will be provided. If the item is not your style or does not fit you, we unfortunately cannot issue a refund. You can always re-list your item on Relovv. Any orders done outside the Relovv platform will not be eligible for refunds of any kind. You bear all risks associated with any such transactions. You must report a problem above, or any problem to support@relovv.com. Relovv will in its sole discretion verify your report. You agree that you may be asked to return the Item within 5 days to be eligible for a refund. 3) You do not like your Item or you change your mind. The list above is not a complete list. (a) Age: You must be at least 18 years old to use Relovv. By using our Services, you represent to us that you are 18 years of age or older. If you are under the age of 18, you agree that you at all times use the Service only in conjunction with and under the supervision of a parent or legal guardian who is at least 18 years of age. In all cases, the adult is the Member and is responsible for any and all activities. (b) No Restrictions: You represent and warrant to us that you are not currently restricted from the Service, or not otherwise prohibited from having a Relovv account and have full power and authority to agree to these Terms and doing so will not violate any other agreement to which you are a party. We may, in our sole discretion, refuse to offer access to or use of the Service to any person or entity and change our criteria at any time. (c) Failure to Qualify: If you do not qualify to join Relovv, you are not permitted to use the Service and you shall not use the Service. (d) Power Profile Qualifications: You understand and agree that we may have separate qualifications for you to become a Power Profile. We reserve the right to refuse any request to allow an individual or entity to become a Power Profile, for any or no reason, including without limitation the desirability of Items offered for sale, the nature of the Items or any other reason. You agree that Relovv is does not control or guarantee that any Member or Power Profile is who they say they are. Relovv can only confirm that Student Members create an account using a valid .edu email. Certain content may be viewed on Relovv without creating an account, including but not limited to Items in the market / discover. You may use your Account to view posts, videos, photographs, images, artwork, graphics, audio clips, comments, data, text, software, scripts, projects, other materials and/or information, associated trademarks and copyrightable works, and/or other content (collectively, “Content”) created by other Member (“Member Generated Content”), by third parties (“Third Party Content”) or by Relovv (“Relovv Content”). To create your Account, you must provide certain personal information about yourself, including but not limited to your name, email, phone number and picture. You will also have the option to provide additional profile information, such as interests or friends. You may also have the option to link a specified credit card, debit card or other payment method account to your Account. We may from time to time provide the ability to register with Relovv through your account with certain third party social networking services, including without limitation Facebook (collectively, “SNS”). When you register through your SNS account, you will be asked to login to our Services using your SNS account credentials. By creating an Account via your account with an SNS, you are allowing Relovv to access your SNS account information and you are agreeing to abide by the applicable terms and conditions of your SNS in your use of our Services via such SNS. You have the option to disable the connection between your Relovv Account and SNS account at any time by accessing your SNS account and disconnecting access to our Services. If you do so, you will not be able to use your Relovv Account until such time as you re-establish the connection between your SNS and your Relovv Account or you can create an Account with Relovv that is not linked to your SNS account. You are responsible for ensuring that any personal information you provide is accurate and up to date. Relovv reserves the right to verify the accuracy of the information you provide at any time. You are responsible for protecting your Account from unauthorized access. For any portion of the Service that requires a username (Member name) and/or phone number you are responsible to maintain the privacy of your username (Member name) and/or phone number. You are responsible for any activity that occurs under your account. You agree to notify Relovv immediately if you believe your member identification, phone number or other identifying information has been lost, stolen or otherwise compromised. You will be held responsible for any activity that occurs under your Account. You also acknowledge and agree that you are solely responsible for all damages or claims that may arise from any access to or use of this Service by any person to whom you have provided your member identification, phone number or other identifying information, or by any person who has obtained such information from you, including but not limited to any access to or use of our Services that may occur after you have notified us that your member identification, phone number or other identifying information has been lost, stolen or otherwise compromised. You shall not create multiple Accounts or attempt to use someone else’s Account. You shall not impersonate, abuse, harass, threaten or intimidate other people from your Account. You shall not engage in any of the following activities: Modifying, copying, distributing, transmitting, reproducing, publishing, licensing, creating derivative works of, framing, transferring, selling or otherwise using any information, products or software from the Services, including without limitation engaging in the practice of “screen scraping” or similar activity. • Intimidate, abuse, harass, issue threats or intimidate other people using your Account. • Your Content will be publicly visible throughout the Service. • Your Content, including your public account information such as your display name or profile picture, may be indexed by third party search engines, including without limitation Google, which may not remove such information immediately (or ever), even if such information is removed from our Services. • You will contribute accurate photos and information. You understand that we may remove any Content for any or no reason, and without providing any notice to you. • You shall comply with all applicable laws (including without limitation U.S. copyright law) with respect to any posted Content. (iv) the use of your Content as contemplated by these Terms will not infringe or violate any intellectual property, privacy, publicity, contract or other rights of any person or entity. • You are solely responsible for Your Content and conduct on our Services. We are not responsible for any use of Your Content in accordance with these Terms. • Your Content may be modified or adapted (for example, photos may be cropped) in order to meet design and technical requirements of our Services or for any other reason. We do not guarantee that we will retain Your Content in modified or unmodified form, so we recommend that you retain original copies of Your Content. As between you and us, Your Content always belongs to you. By uploading, posting, contributing, or otherwise providing Your Content to us, you hereby grant us a worldwide, nonexclusive, perpetual, irrevocable, royalty-free, fully paid up, sublicensable and transferable license to modify, reproduce, distribute, prepare derivative works of, display, publicly perform, translate, alter, exploit and otherwise use Your Content in connection with our Services and/or our business, including without limitation for promoting and redistributing part or all of the Services in any media format and through any media channel. By way of example, Your Content may be included in one of a series of montages (each, a “look book”) developed and copyrighted by Relovv, and you understand that Relovv is the exclusive owner of such “look book”, subject to the licenses from each of our licensors. We do not guarantee that we or any of our licensors or other partners will attribute any use of Your Content to you. • that impairs or limits our ability to operate this Service or any other person’s ability to access and use this Service. We reserve the right at all times and for any reason or for no reason, in our sole discretion and without notice to you, to deny you access to and use of any of our Services. (v) introduce viruses, worms, Trojan horses and/or harmful code to our Services. RELOVV MAKES NO WARRANTIES WITH RESPECT TO ANY Item PURCHASED FROM ANOTHER MEMBER, WHETHER EXPRESS OR IMPLIED, INCLUDING WITHOUT LIMITATION THE IMPLIED WARRANTIES OF MERCHANTABILITY, FITNESS FOR A PARTICULAR PURPOSE, TITLE OR NON-INFRINGEMENT. FOR EVERY TRANSACTION THAT IS COMMENCED THROUGH OUR SERVICE, YOU MUST MAKE YOUR OWN INDEPENDENT DETERMINATION REGARDING THE STATEMENTS, PRODUCT DESCRIPTIONS OR THE REPRESENTATIONS OF THE OTHER PARTY AND THE PARTY'S ABILITY TO PAY FOR OR DELIVER THE ITEM(S) OFFERED. PLEASE USE CAUTION, COMMON SENSE, AND PRACTICE SAFE TRADING WHEN DEALING WITH OTHER USERS OR OTHERWISE USING THE SERVICE. (d) Taxes: You are responsible for all taxes, whether sales, use, income or otherwise, that arise out of your use of the Services. We recommend consulting with a tax adviser as to whether any transaction on our Service is taxable. Relovv does not oversee the performance or punctuality of sales. Each Member guarantees his or her ability to deliver on transactions initiated by such Member. Relovv does not control, is not responsible for and makes no representations or warranties with respect to any Member or Member’s conduct. You are solely responsible for your interaction with or reliance on any Member and their conduct. You must perform any necessary, appropriate, prudent or judicious investigation, inquiry, research and due diligence with respect to any Member or Member conduct. Relovv is under no obligation to become involved in disputes between any Members, or Members and Merchants, or between Members and any third party or Merchant arising in connection with our Services. This includes, but is not limited to, delivery of Items, and any other terms, conditions, warranties or representations associated with posting Items for sale on our Services. Relovv reserves the right to reject, cancel, interrupt, remove or suspend a post or an Item at any time and for any reason. Relovv is not liable for any damages as a result of any of those actions. Relovv’s policy is not to comment on the reasons for any of such actions. Relovv has the right, but not the obligation, to regulate Member Content posted to, stored on or transmitted via Relovv by any Member (or any other third party in any manner); to regulate conduct (including but not limited to any authorized or unauthorized access to or use of Relovv) by any Member (or any other third party in any manner); and to enforce these Terms, for any reason and in any manner or by any means that we, in our sole discretion, deem necessary or appropriate (including but not limited to automated and manual screening and the deletion and/or termination of content, accounts and/or all or any use or access). We may, in our sole discretion and without notice, start, stop or modify any regulation or enforcement measures at any time. Relovv action or inaction to regulate content or conduct or to enforce against any potential violation of these Terms by any Member, Merchant or any other party does not waive our right to implement or not implement regulation or enforcement measures with respect to any subsequent or similar content, conduct or potential violation of these Terms. You also understand and agree that any action or inaction by Relovv or any of its directors, officers, stockholders, employees, consultants, agents or representatives (collectively, “Relovv Representatives”) to prevent, restrict, redress or regulate Content, or to implement other enforcement measures against any Content, conduct or potential violation of these Terms is undertaken voluntarily and in good faith, and you expressly agree that neither Relovv nor any Relovv Representative shall be liable to you or anyone else for any action or inaction to prevent, restrict, redress, or regulate Content, or to implement other enforcement measures against any content, conduct or potential violation of these Terms. We and our licensors own and retain all proprietary rights in our Services. Our Services (or any portion thereof) may not be reproduced, duplicated, copied, sold, resold, visited or otherwise exploited for any commercial purpose without our express written consent. You may not use any meta tags or any other “hidden text” utilizing Relovv’s name or trademarks without the express written consent of Relovv. You may not (directly or indirectly) decipher, decompile, disassemble, reverse engineer or otherwise attempt to derive source code or underlying ideas or algorithms of any part of our Services, or modify, translate or otherwise create derivative works of any part of our Services. Any modification of content, or any portion thereof, or use of the content for any other purpose constitutes an infringement of trademark or other proprietary rights of Relovv or third parties, and any unauthorized use terminates the permission to use our Services granted by Relovv. All Content included on our Services is the property of Relovv or its licensors or content/software suppliers and protected by United States and international copyright laws. The compilation of all content on this site or mobile application is the exclusive property of Relovv and protected by U.S. and international copyright laws. All software used on this site or mobile application is the property of Relovv or its software suppliers and protected by United States and international copyright laws. The marks appearing on this Service, including but not limited to Relovv and any respective logos, emblems, slogans and designs, are trademarks of Relovv. All other marks used on this Service are the property of their respective owners. • A statement from the copyright holder or authorized representative that the content is believed to be infringing. • Sufficient information about the location of the allegedly infringing content so that Relovv can find and verify its existence. • Your name, telephone number and email address. Relovv’ agent for notice of copyright issues on the Service can be reached as follows: Relovv (Unitiques inc.) 20151 Bahama Street Chatsworth, CA 91311 Attn: Copyright Agent If you are not sure whether material available online infringed upon your copyright, we suggest that you first contact an attorney. You agree to indemnify and hold Relovv, its parent, subsidiaries, affiliates, directors, officers, agents, and other partners and employees, harmless from and against any and all claims, damages, obligations, losses, liabilities, costs or debt, including but not limited to reasonable attorneys’ fees, made by any third party due to or arising out of your Content, Account, use of our Services, or violation of the Terms. This indemnification obligation will survive these Terms and your use of our Services. Relovv may, in its sole discretion, terminate or suspend your access to all or part of our Services, for any reason, including without limitation your breach of these Terms. In the event that you are unsatisfied with our Services, you may terminate your Account, which will terminate these Terms. In the event these Terms are terminated, the following Sections shall survive in accordance with their terms: 2, 5, 7, 8, 10, 11, 12, 13 and 14. Relovv operates our Services from our offices in the United States. Relovv makes no representations that content and materials on our Services are legal or appropriate for use from outside the United States. If you choose to access our Services from other locations, you do so at your own risk and are responsible for compliance with any and all local laws, including without limitation laws relating to data privacy, and you hereby consent to the transfer of your personally identifiable information to the United States of America. You may not use the Service in violation of U.S. export laws and regulations. These Terms are personal to you, and are not assignable, transferable, or sublicensable by you except with Relovv’s prior written consent. Relovv may assign, transfer or delegate any of its rights and obligations hereunder without consent. These Terms will be governed by and construed in accordance with the laws of the State of California, excluding the conflicts of laws provisions thereof and the United Nations Convention on the International Sale of Goods. Subject to Section 14, any action brought to enforce these Terms or matters related to the Service will be brought in either the state or federal courts of the State of California. Any claim or cause of action you have with respect to use of our Services must be commenced within one (1) year after the claim arises. In any action or proceeding to enforce rights under the Terms, the prevailing party will be entitled to recover costs and attorney's’ fees. If any provision of these Terms is deemed void, unlawful, or otherwise unenforceable for any reason, that provision will be severed from these Terms and the remaining provisions of these Terms will remain in force. These Terms constitute the entire agreement between you and Relovv concerning your use of the Service.